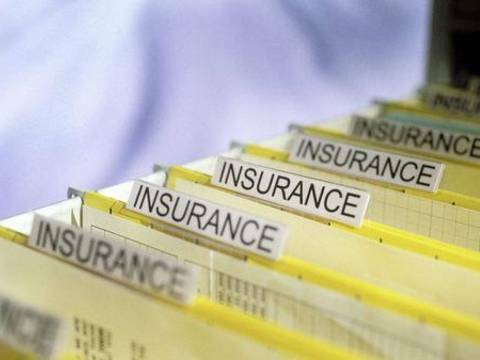 A state body under the Azerbaijani Finance Ministry expects the domestic insurance market to grow by up to 20 percent this year. "In 2013, we do not expect growth as significant as that of 2012," head of the State Supervision Insurance Service Namiq Khalilov told Trend news agency on Wednesday. "We do not see such strong drivers of growth in 2013 as last year's introduction of compulsory insurance. We expect premium growth by 15-20 percent fostered by the deepening and expansion of the scope of the market." The total premiums of all companies operating in the country amounted to 342.52 million manats ($437 million) in 2012 (annual growth of 60.8 percent), and payments made up 93.86 million manats ($119.7 million), an increase of 52.45 percent. However, according to Khalilov, the Azerbaijani insurance market will begin changing after compulsory health insurance is introduced. "The market structure will not change much in the near future," Khalilov noted. "Today, there is no reason for major changes. It will begin to significantly change after compulsory medical insurance is introduced. This will affect the market volume and its structure." Khalilov also said there is some potential for developing voluntary agricultural insurance. "We cannot say that today there is great interest on the part of agricultural producers, but on the other hand, further development of credit programs for farmers will make it easier for farmers to familiarize themselves with insurance," he said. According to Khalilov, there are promising relevant programs in the sphere of insurance as the issue will be connected to loans -- soft loans provided by the state, banks and non-bank credit institutions, and in the future, this activity may develop independently. Azerbaijan started to apply the new law on "Compulsory insurance" on December 16, 2011. According to the law, types of compulsory insurance - real estate insurance, civil liability while exploiting real estate, etc. - were introduced. The insurance amount on compulsory liability insurance of vehicle owners and passenger insurance were increased. Around 83.92 million manats ($106.9 million) were collected on these four types of insurance in 2012. According to Khalilov, last year laid a good foundation for further development of the Azerbaijani insurance market. "In 2012 we witnessed strong growth in the market. Partially it is linked with the enforcement of the compulsory insurance law and with the developing of different kinds of optional insurance," Khalilov said. According to him, although the insurance market used to be heavily dependent on banking, now the situation has begun to change and this is happening not only because of the compulsory insurance growth; it can also be connected to optional insurance, which is not linked to the banking market. Khalilov believes that this process will further continue, though the banking market still has a sizable presence on the insurance market. There are 28 insurance companies and one reinsurance company in the country.